I have a walker female that will run and tree bear and tree hard.but when she gets them on the ground she runs the other way.Is there any thing i can do to get her to say with the bear on the ground. i dont now every time i get to a bear she is gone . only about 50 or so yards and i can call her to me. she is 2 years old now.and she only weights 40 lbs. Last edited by JeffEberle on Mon Dec 05, 2011 9:40 am, edited 1 time in total. No disrespect, but you have a dog which runs a bear, not a bear dog. Dogs which doesnt bite, and bay, dont tree bear. At two, they should be, or look elsewhere, LOL. Agree 100%. Lots of dogs will run a bear but aren't beardogs. A true beardog runs to catch and has the grit to tree or bay one up and hold it. Your dog isn't going to cut it. 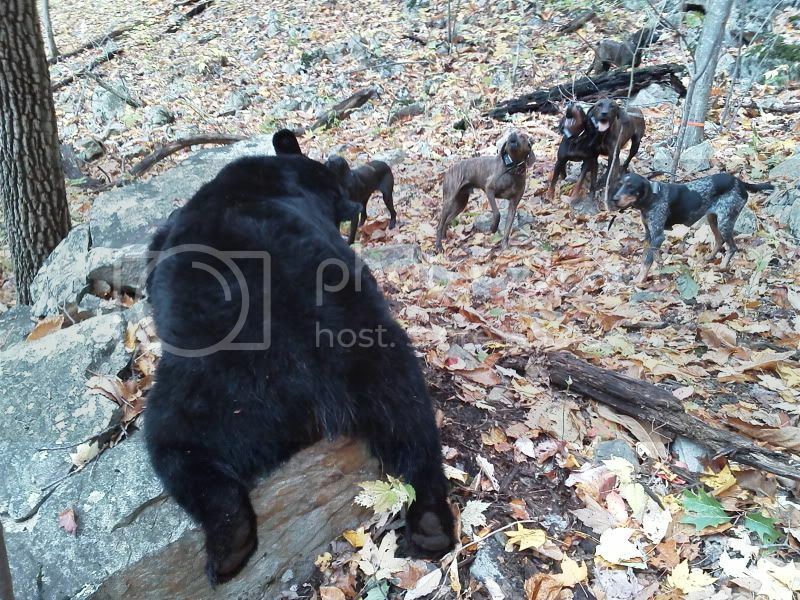 A true bear dog can't help but do that alone, it's bred into them. There is a big difference in baying 10 ft back and sticking, and flat out running away. I don't care much for a suicidal catch dog, but if a bear breaks to run, I want mine chewing on its backside. Gettin on a mean bear is just part of bear huntin.